Kelly and Sean love adventure and the great outdoors. 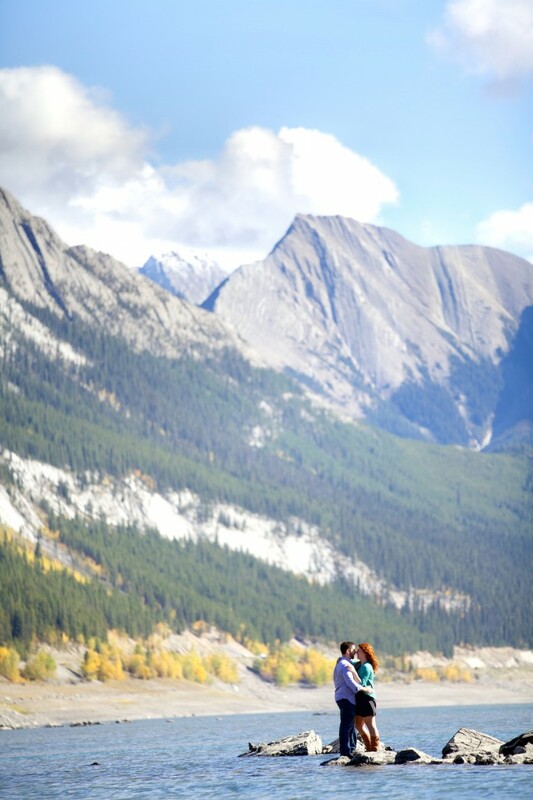 It was a natural fit for us to head out to Jasper National Park for their mountain engagement pictures. It was a beautiful afternoon when we met this happy couple and their fur baby Abby at Medicine Lake. 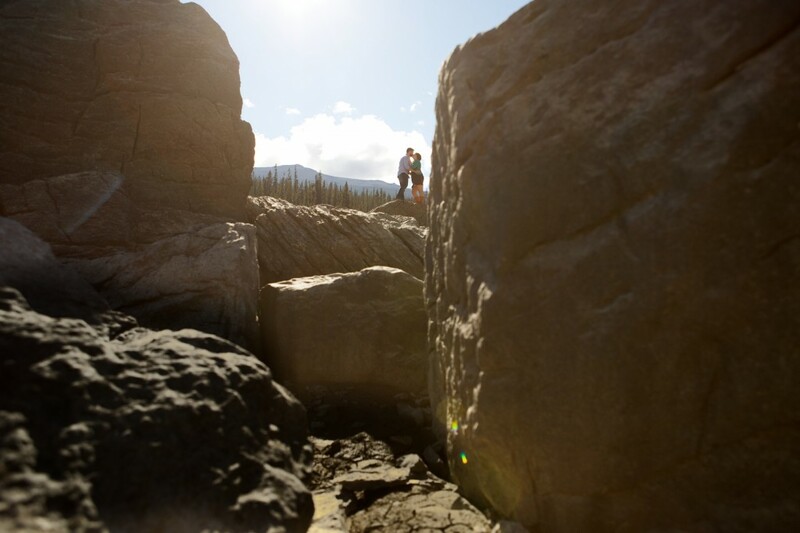 This is one of our favourite locations in Jasper National Park to photograph. 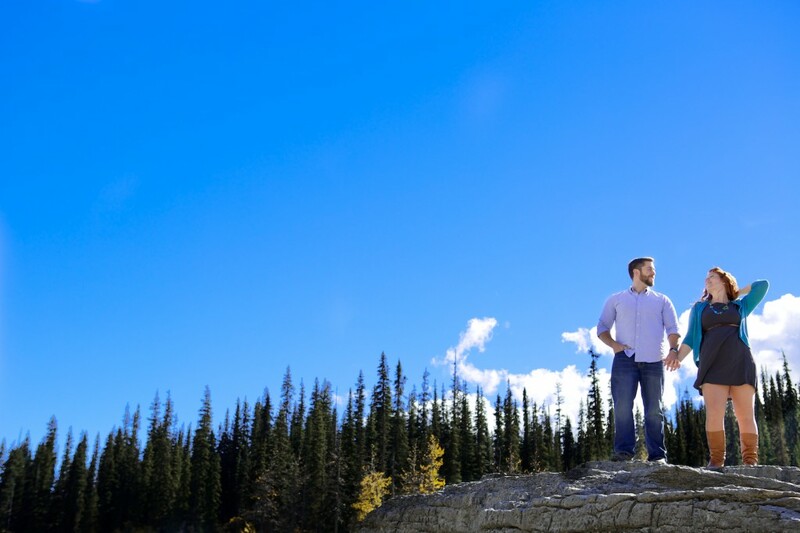 Bright blue skies and the rugged mountain range made for a stunning and dramatic backdrop for these Jasper engagement photos. We spent the afternoon exploring the boulder field near the basin of Medicine Lake – the disappearing lake. Fed by the Maligne River, this lake will fill during the spring and gradually empty through natural sink holes in the bottom. We were lucky that there was still some water in the lake during our session. 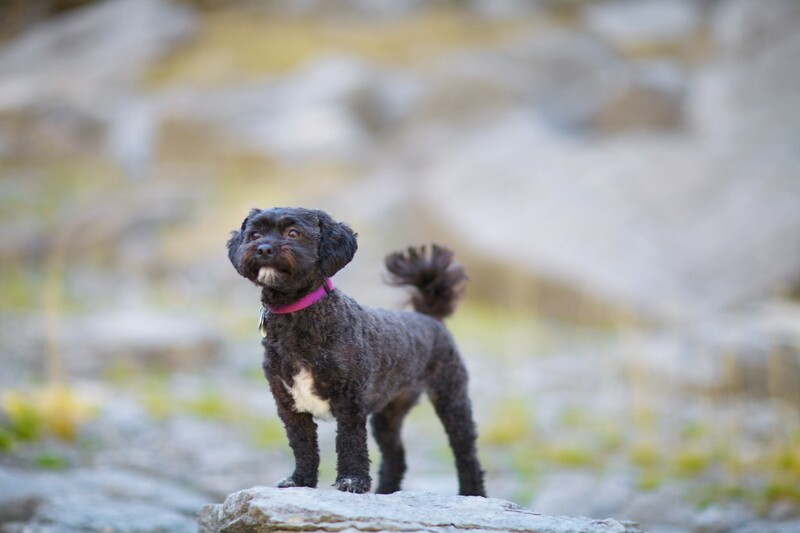 With the lake being so shallow, we were provided with the opportunity to explore areas of the lake bed. 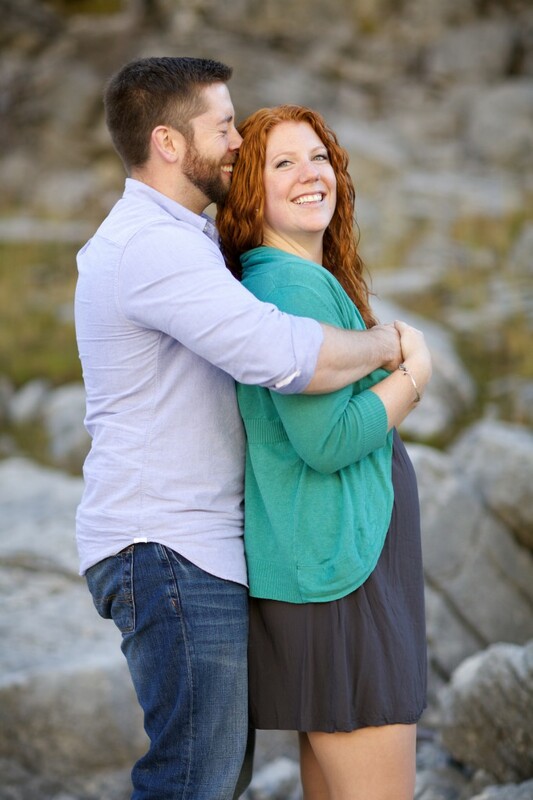 We love the energy and spontaneity between this couple. There was hardly a moment when they were not chatting, laughing and fooling around. It is easy to see how Sean fell in love with Kelly’s beautiful smile and charismatic laugh. A laugh that is brought on by Sean’s quick wit and impeccable sense of comedic timing. 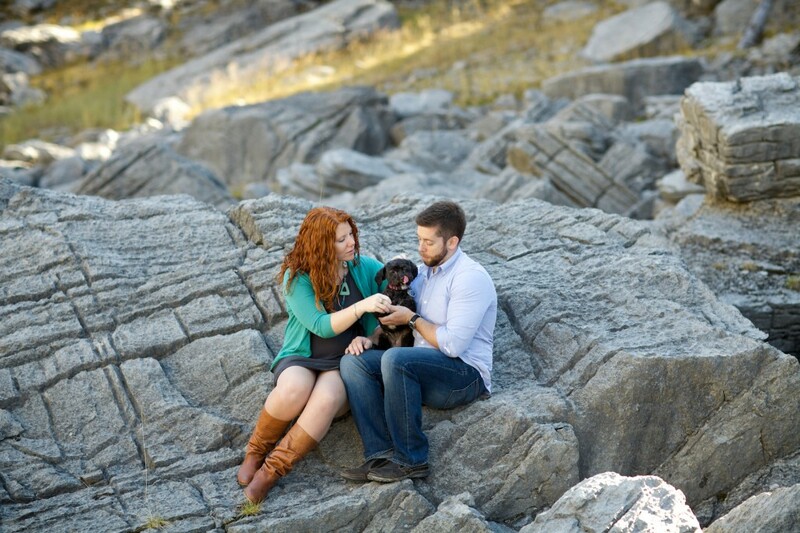 We had such a great Jasper engagement session with these two fantastic folks (and Abby! ), we can’t wait for the wedding! A lot of our couples tell us their engagement session is the first time they’ve had professional photos taken together. 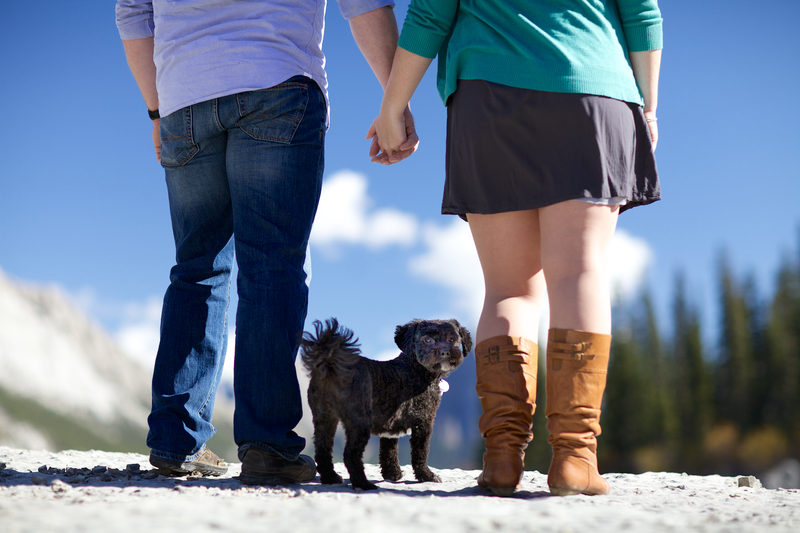 We always suggest they take a look at our guide for preparing for your engagement photos. It is our job as your photographers to make you feel comfortable in front of the camera. We do this by working with you to direct you into poses that are comfortable and flattering. 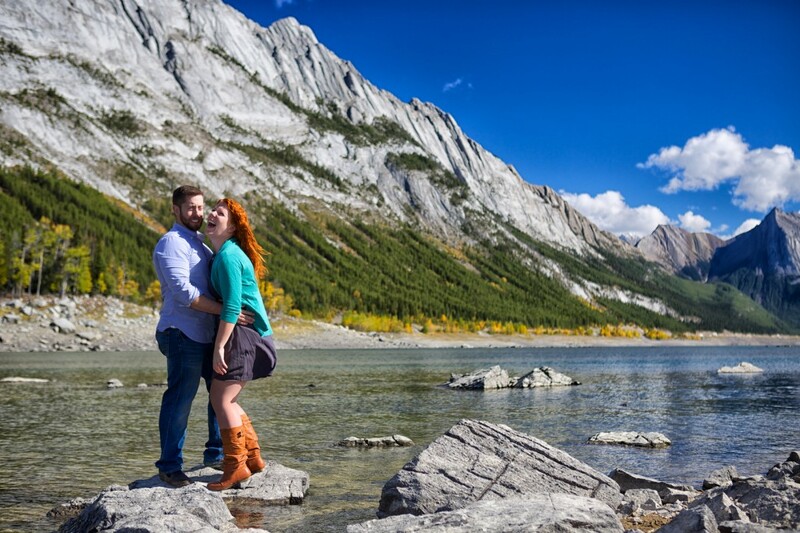 The connection between the two of you is an important part of making your engagement photos come alive. 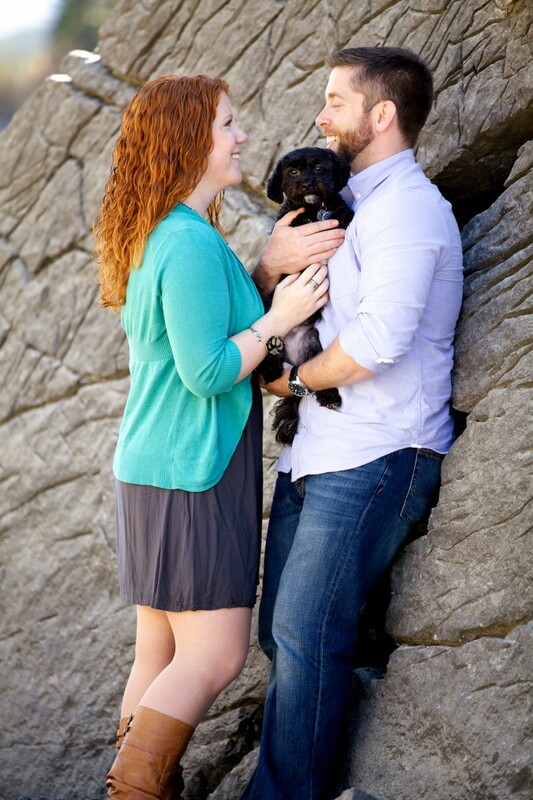 So relax, have fun and enjoy your engagement session! 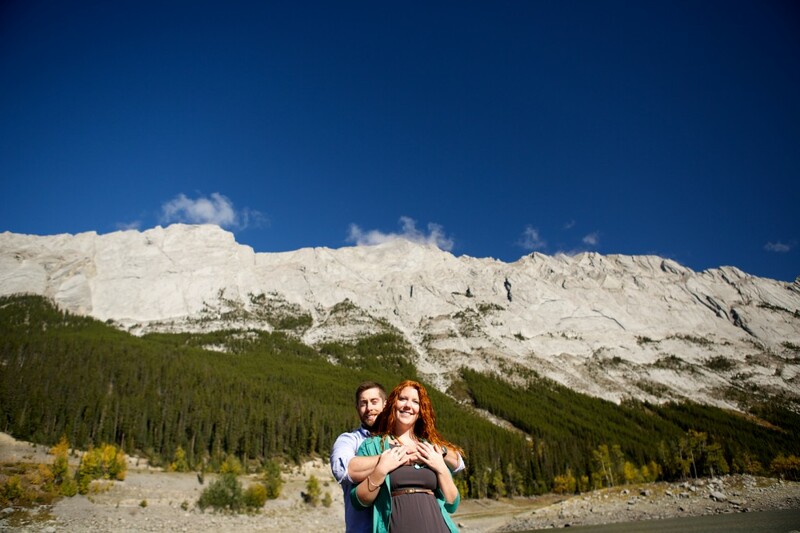 If you are planning your engagement session in the Jasper or Banff area, please contact us! 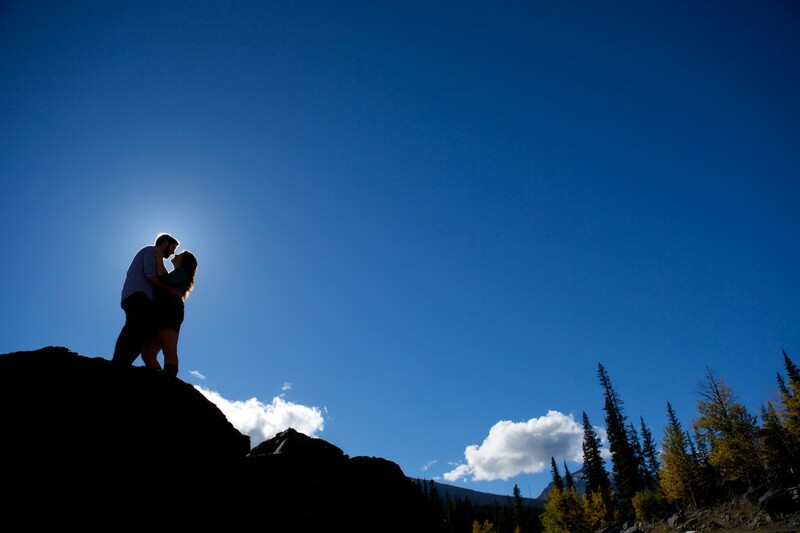 We love working with awesome couples in the mountains.